The election of Regional Directors must be completed before December 31, 2017 in each of the BC Liberal Party’s 12 regions across the province. WHAT ARE THE DUTIES OF A REGIONAL DIRECTOR? To ensure that there is an active Riding Association in each electoral district. WHO IS ELIGIBLE TO BE ELECTED AS A REGIONAL DIRECTOR? 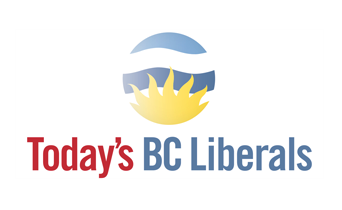 The person must be a member of the BC Liberal Party, residing in the region to be represented by the Regional Director. A completed questionnaire in the form prescribed jointly by the Nominations Chair and the President. WHO IS ELIGIBLE TO VOTE FOR A REGIONAL DIRECTOR? A member of the Party is eligible to vote for a Regional Director seeking election in the region in which such member resides. If only one Member submits a nomination seeking election for Regional Director in a particular region by Friday, September 22nd, 2017 (the “Nomination Deadline”), then such person will be acclaimed as the Regional Director for that region. The President will deliver to Presidents of the Riding Associations that comprise the region in which a Regional Director is to be elected a notice of the election of the Regional Director (the “Notice of Regional Director Election”). The Notice of Regional Director Election will provide details of the locations, dates, times, and manner of the election of the Regional Director as approved by the President, in consultation with the Riding Associations affected. Party Headquarters will post the Notice of Regional Director Election on the Party’s website and will transmit the same by email to Members residing in the region in which an election of a Regional Director is to take place. The election of Regional Directors for a particular region will take place no earlier than 21 days after the date on which the Notice of Regional Director Elections is sent by email to Members of the affected Riding Associations. The President will appoint returning officers for the elections of Regional Directors. The votes by Members for a Regional Director will be weighed so that each Riding Association in the region will have equal input in the election of the Regional Director representing their region. For further information, please contact Mark Robertson at mark.robertson@bcliberals.com. KELOWNA WEST – Respected business owner, community leader, former minister and two-time local MLA Ben Stewart will be the BC Liberal candidate in the upcoming Kelowna West by-election, the party announced Friday. Stewart is a long-time champion for the BC wine industry and is a strong advocate for small businesses, local tourism, and technology. Elected to the legislature in 2009 and again in 2013, he served as minister of citizens’ services, minister of community and rural development, and minister of agriculture. Stewart subsequently served the province as BC’s Special Representative in Asia, working to secure investment and create jobs in BC. Stewart will be formally nominated Thursday, September 21 at 6:00 PM at the Westbank Lions Hall. More details will be shared with local party members shortly. By law, the government has until February 4th to call the by-election.